Collected from as far afield as Hong Kong, Kew Gardens and Waitatapia we have over 100 species in our extensive collection of bamboo including Arundinaria, Bambusa, Chiminobambusa, Chusquea, Dendrocalamus, Drepanostachym, Fargesia, Gigantichloa, Himalayacalamus, Phyllostachys, Pseudosasa, Sasa, Yushania and more. 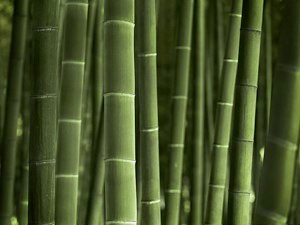 At Bamboo Specialists you will find acres of mature plantations of bamboo planted over many decades from which we divide our plant stock to grow into all sizes of bamboo specimen plants. Sometimes you might have to wait for the rare or giant bamboos due to the demand or time involved in producing them and then some to ensure they are ready to transplant. Every plant we grow with care for consistent viability, every item we hand produce to its optimum intrinsic quality, every design we pioneer for reasonable endurance. We are well acquainted with bamboo and are able to advise on all aspects of its use and application. Welcome to New Zealand Bamboo the genuine home of bamboo in New Zealand.